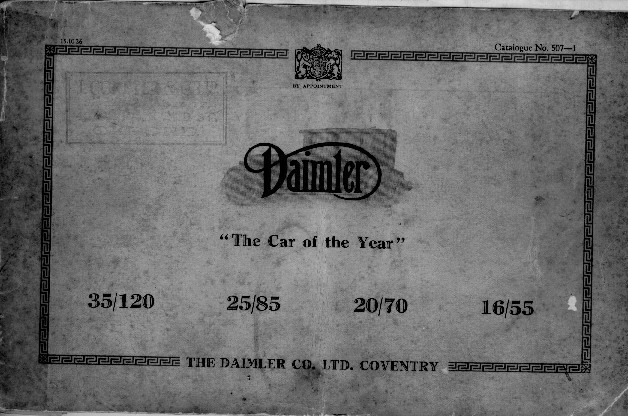 The sales catalogue was with the Daimler when we bought it. One page has been torn out. I have seen another copy and the missing page contains a picture of a car with bodywork similar to ours. Obviously the original had been posted to a relative with a message saying "We've bought one like this". Click here to see the catalogue.